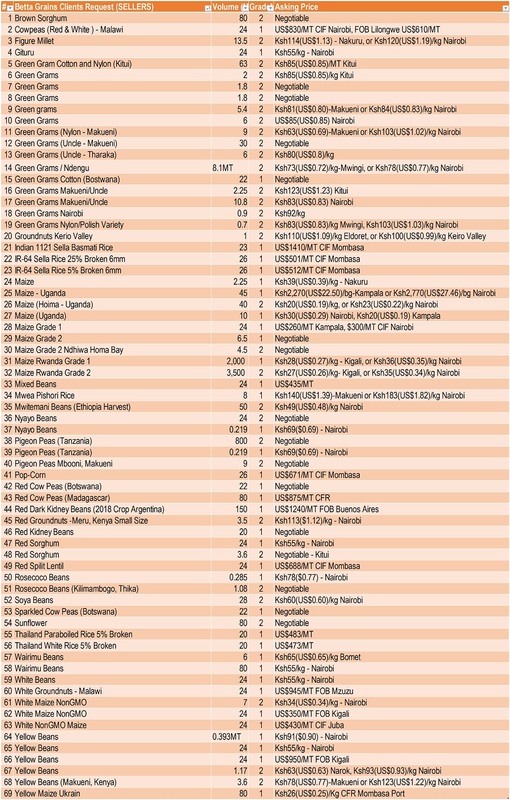 Betta Grains would like to thank all our subscribers for the excellent feedback, reviews and referrals which have resulted in increased request for market opportunities, as listed below. Please subscribe to receive our weekly and monthly newsletter, highlighting trade in Africa. For more information on the market opportunities, kindly send an email to info@bettagrains.com, please specify your product, volumes you wish to trade, grade, and asking price, or contact us on +254 722-780799. Betta Grains marketing department will be in touch with you for any additional clarification. Betta Grains has opportunities to sell and buy products for our clients.